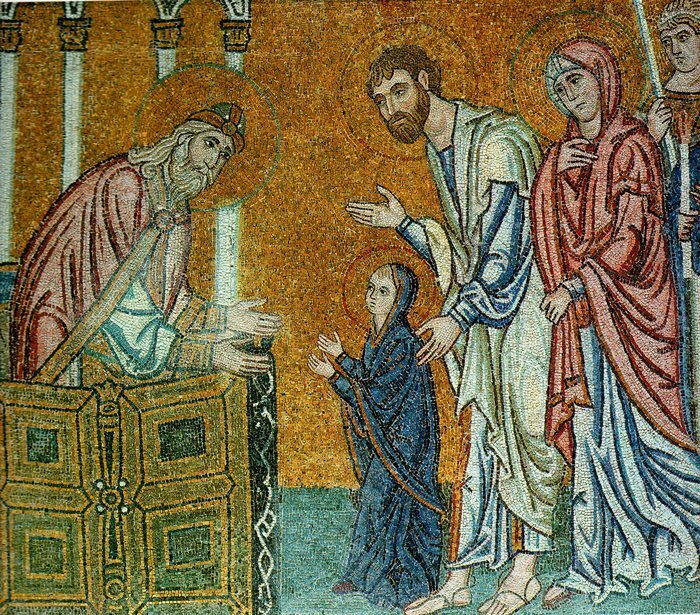 The Entry of the Most Holy Theotokos into the Temple. A Joyous Feast to All! Holy Resurrection Parish in Vancouver, BC/† Свято-Воскресенский Русский Православный Собор, Ванкувер celebrating the Feast in 2011. Hamatoura Monastery has some very nice e-cards that tell the story of the Feast just click below to go to the site! Just click the above for an E-Card for the Feast! O Fulfillment of the Creator’s dispensation! Truly this woman is the Abode of heaven! A more complete explanation of the Feast can be found here. This entry was posted in 12 Great Feasts, Events, Festivals, Liturgical Music and tagged 2018, Feast Day, Orthodox Liturgical Music, Presentation of the Theotokos in the Temple. Bookmark the permalink.